Flowerama is Bexley's favorite neighborhood florist. Winner of the Consumers Choice Award for Florist and Flower shops, Flowerama is proud of its reputation in Bexley. We offer same day Flower delivery every day of the week including Sunday. Express Flower delivery in Bexley is also available. We call it Cupids Express Delivery and its our way of allowing you to choose when you want to have your flowers delivered. WHAT FLOWER ARRANGEMENT SHOULD I SEND TO BEXLEY? We are glad you asked. Flowerama has been the home town florist for Bexley for almost three decades. Needless to say we know a little about Bexley's taste in flowers. The signature flower arrangement that Flowerama created for Bexley is called "BEXLEY ROYALTY". 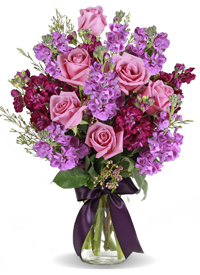 This arrangement has beautiful purple hues and is filled with roses, stock, and wax flower finished with a deep purple bow. This wonderful arrangement has become so popular that people all over central Ohio have grown to love it. Our "One Dozen Traditional Red Roses Arranged In A Vase" is also very popular in Bexley. Many people like to upgrade to Two Dozen Mixed Roses arranged in a vase, Flowerama calls this arrangement "Feel the Love Two Dozen Mixed Roses". If your sending roses to Bexley for an Anniversary or Just Because either of these Vase Rose arrangements are sure to please, be sure to check out the entire collection of roses on the website. Another popular arrangement for Bexley residents is Flowerama's "Splendid Columbus". This colorful arrangement contains the freshest stems of Gerbera Daisy's, Fuji Mums, Roses, Lilies, Snapdragons and more. Some flowers are not always in season so substitutions are sometimes made to insure the freshest most in season flowers available. WHAT ABOUT LIFE EVENTS? Like any town Bexley residents have life events and choose Flowerama flowers to help celebrate Birthdays and Anniversaries. We are also there for them when Bexley residents need Get Well Flowers or Sympathy Flowers. 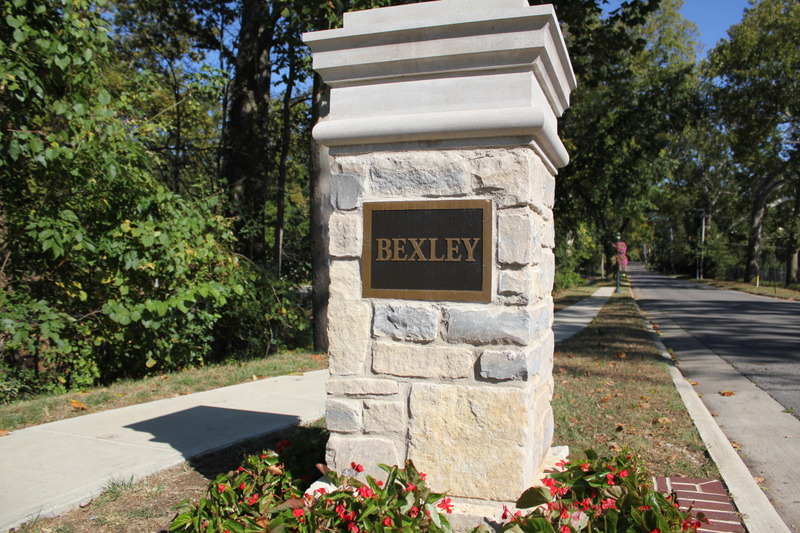 The unique thing about Bexley is the highly credited Capital University that is part of the fabric of the neighborhood, because of this Capital and Bexley get to celebrate the graduation of Capital University Students. Flowerama is always their to help with cards and balloons and flowers for this wonderful occasion. DID YOU KNOW? Flowerama has created a custom non-spill delivery box to make it easy for anyone to transport flowers to Bexley and home again, we call it our "Magic Box" because it makes transporting flowers so easy. We travel over the country visiting other flowers shops to see what they do and how they do it. We came across this idea when visiting a shop in Memphis called Pughs Flowers. We came back to Columbus and commissioned a box company to custom create our own version. 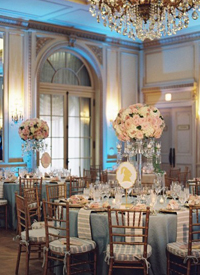 We offer a Free Wedding Consultation for every new prospective. 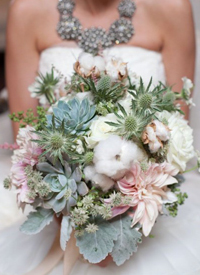 If you are getting ready to begin planning your wedding, we encourage you to reach out to one of our expert wedding flower specialists. 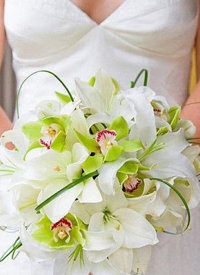 They can help you to create the absolute perfect wedding flower package for your special event. Flowerama Columbus has been proudly serving the Bexley community with fresh flowers and gifts since 1990.